Once again mommy and I have found another all natural hair care, but not just hair care, company for you. Even the name sounds magical. Fairy Tales, making my dream of having hair care products that are organic and all natural and just better for you come true. 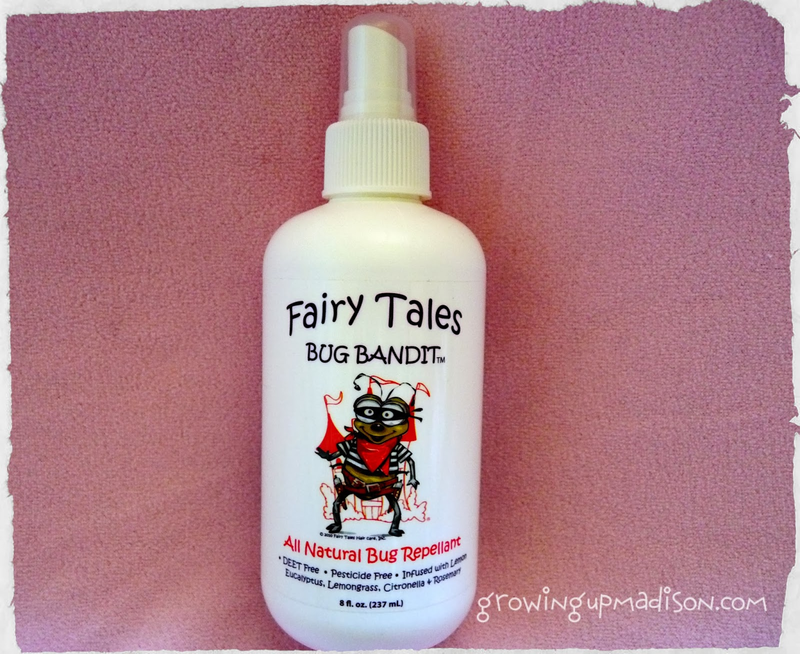 Fairy Tales is known for their Lice Repel products but today I won't be reviewing those. 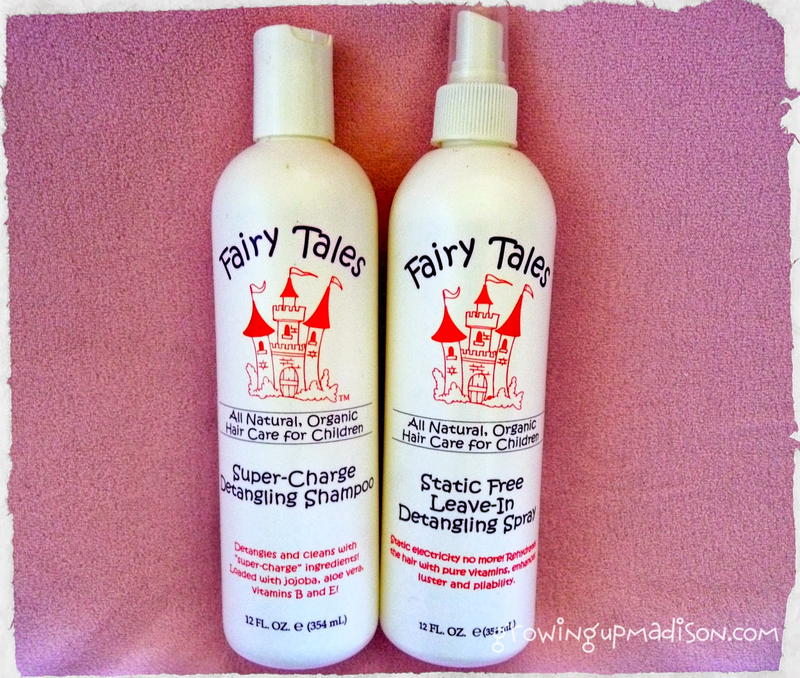 Mommy and I received the Fairy Tales Super-Charge Detangling Shampoo and the Fairy Tales Static Free Leave-In Detangling Spray. "Soft, silky locks plus no more tangles! Loaded with Pro-Vitamins and natural plant extracts to soften unruly locks, improve manageability and eliminate tangles! 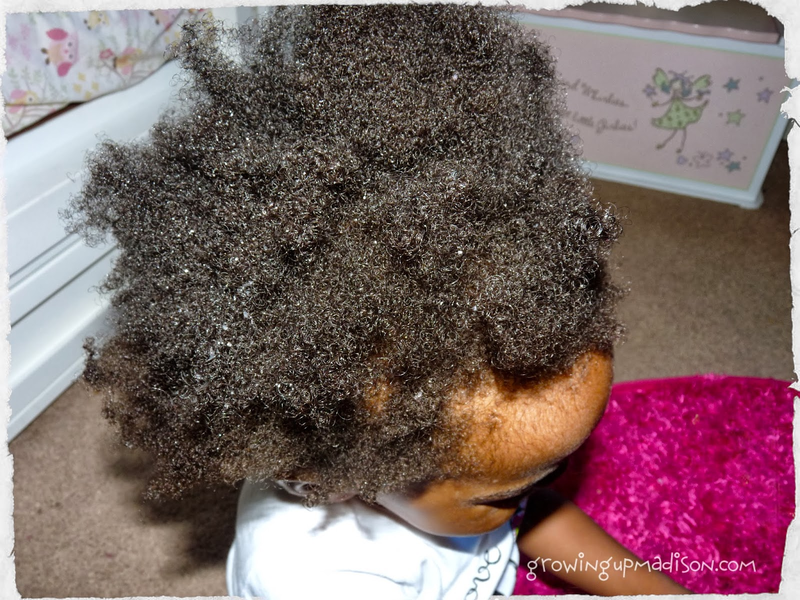 Great for all ages and hair types"
Mommy and I decided to put this to the test. My hair hadn't been washed in almost 2 weeks so it was super dirty and I got pictures to prove it. Now the following photo shows my before and during shots. Let me say that you DO NOT need a lot of product to get that rich lather that you see in my hair. Mommy and I like products that you don't because it then lasts a very long time. It also has a really nice smell too. Mommy kept saying that it smelled like coconuts or more like coconut popsicles that she used to eat in the Caribbean. Checking the ingredient label there is no coconut product in there so mommy was mistaken but it does smell pretty yummy. It is also tear-free. 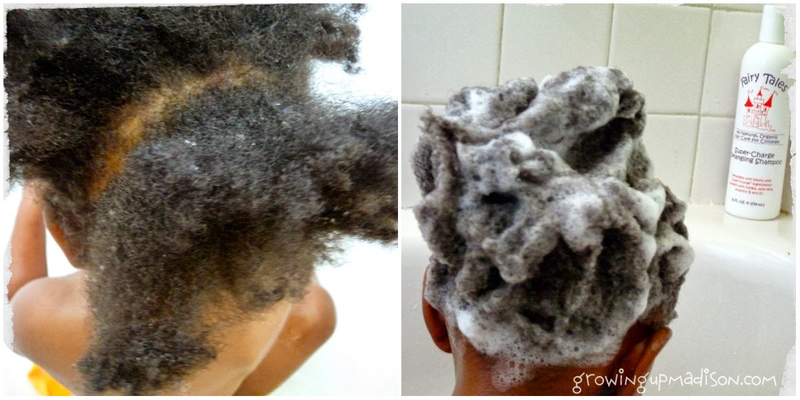 It rinses out pretty easy and does leave your hair feeling softer and a lot cleaner as well. Unfortunately for me though my hair was tangled. I do have rather thick hair so I blame that. Not many products actually do what they claim to do but this one delivered as far as leaving my hair soft and clean. Now check out how clean my hair looks in this after photo. My hair was not only clean but also did feel a lot softer than it did before and it smelled really good too. Mommy wasn't lying, it really did smell like something I could eat. You may want to be careful with your little one and this because they might think that it's something to eat. "No more struggles with comb or brush – and eliminate hat head too!Mom’s favorite detangling spray instantly softens, smoothes and conditions. Eliminates frizz, static and fly-aways. Formulated without dairy, soy and nut oil. Contains gluten. Great for all hair types"
Now, this product claims to be great for all hair types. I have very thick hair as you may have noticed and it gets tangled A LOT! 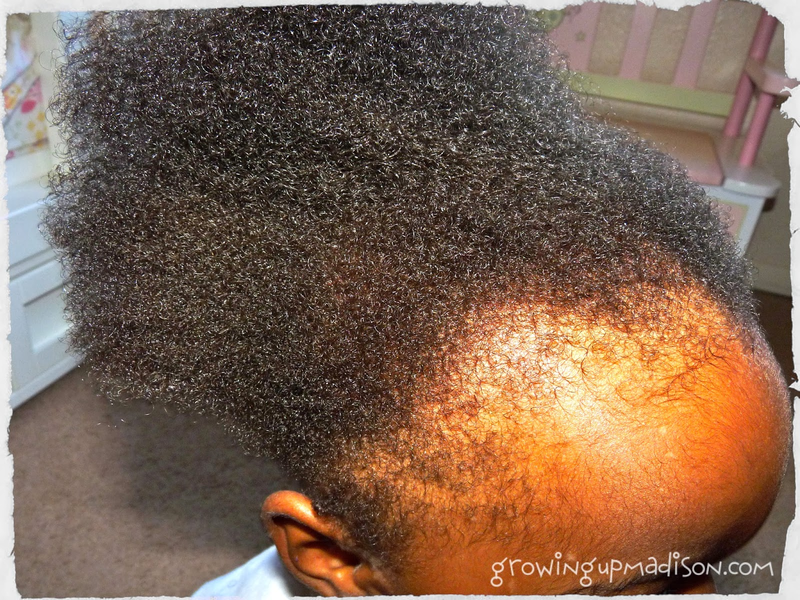 I always have to have a detangling spray on hand after I get my hair washed and whenever I am getting my hair combed. That is why after washing my hair it was the perfect opportunity to test this detangling spray. 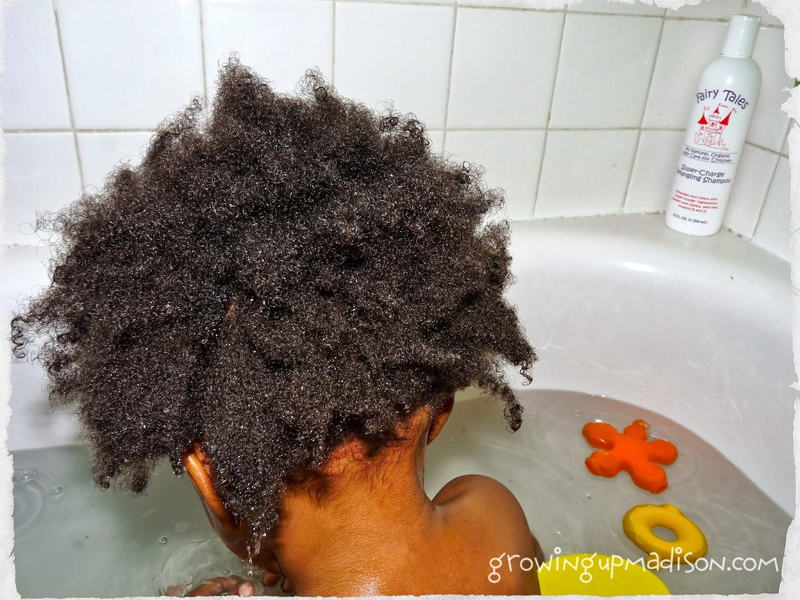 My hair is still damp in the above photo since mommy towel dried most of the water out of it. This spray once again also smells pretty good. It has the identical smell of the shampoo. It also did an amazing job on my hair. I only had to spray a little amount and with my brush I was able to brush out my hair, knots and all without any problems and no crying. Can you see the difference in my hair in this after photo? I have now found another detangling spray that I simply love. The great thing about these products besides them being free of harmful chemicals is that the price is also pretty good. "Natural oils are blended with moisturizers to provide long lasting protection while on the go! DEET free, non-toxic and pesticide free bug repellent helps to repel mosquitoes, flies, fleas, gnats and other biting insects. Perfect for the whole family"
This stated in the description that it was perfect for the whole family but had a warning on the bottle that states: Use on children over 3 years of age only. Being only 20 months mommy decided that I wasn't going to use this but instead used it on my brothers who are much older. We are currently having lots of mosquitoes here in my state. With the season changing and all the rain we recently had we needed something that would keep us safe from all the bugs. You can certainly smell the lemongrass which is mostly what you do smell when you spray it on. Mommy and I aren't sure how this works but it did keep the mosquitoes away according to my brothers. You do need to spray frequently to keep them at bay though, so you may want to keep at least 2 bottles in stock. In conclusion, if you're looking for products that are all natural, organic, does not contain harmful chemicals and does work then Fairy Tales products are the ones you're looking for. I am loving my Fairy Tales products and I do have to give them my Two Tiny Thumbs Up! Naturally Caring for Families since 1999! 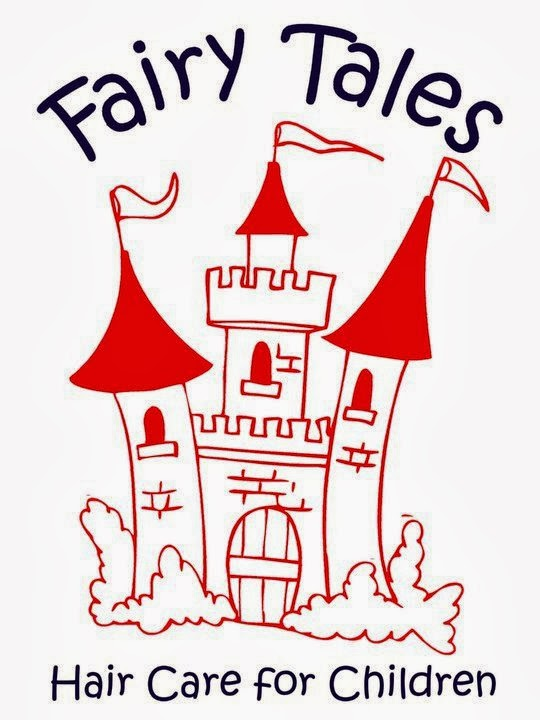 That is what Fairy Tales Hair Care is all about and we are so proud to be the makers of the leading line of professional hair care for children -providing affordable, high-quality natural products for families. I use a lot of Fairy Tales products with my boys and I love them. They smell great and I know they really work. Those sounds like incredible products. I personally would love to try the Bug Bandit in the summer. I am always get bit in the head from mosquitoes it is terrible. I really like the fact that it doesn't contain DEET. You know I'm keeping track of your hair recommendations for not only this baby in my belly but for Nia, Haley and definitely myself. Since I've been preggo my hair is absolutely ridiculous! Knots everywhere and it simply won't behave.. Besides being sick all the time, my hair is definitely my biggest pain. So definitely gonna give these a try! Once again a great review Madi! I love that it has aloe in it. Aloe is great for so many things and things is so great! I like it that it has aloe vera and various vitamins in it. Our body needs lots of vitamins since we can't get enough from our diet (soils depleted and all that). I like this, I would imagine it's perfect for my princess's curly hair. Fairy Tales All Natural Products sound great. They are made from ingredients you can feel good about using on your most precious loved ones and they are not tested on animals. Smart choice and great review. Thanks for sharing this.